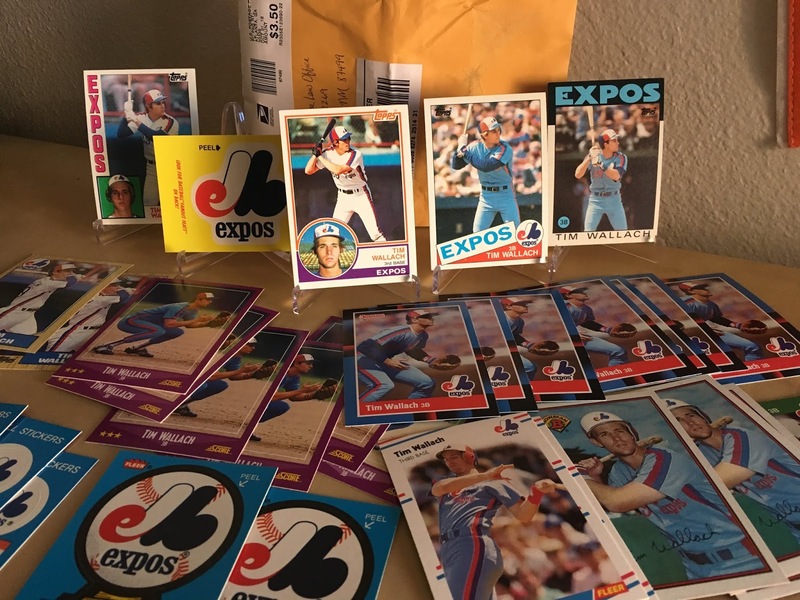 This great assortment of 27 cards and a handful of stickers was sent by Alex of Mableton, Georgia. It's always awesome to find an '83 Topps Wallach. That was the first Wallach card I ever owned, and while I've never declared an "All-Time Favorite," it's certainly on the short list. This wasn't just a stray '83 mixed in with 14 copies of 1990 Fleer and a '92 Donruss, this envelope included a run of Topps base cards from '83 straight on through to '87. The Fleer stickers are project I want to tackle one day. I want to put together a binder of all of the stickers from the 1980's Fleer sets. There is just something about them that I find very endearing, and feel like it would be a nice addition to my collection and entertaining endeavor. Thanks for these cards Alex, I really appreciate them.